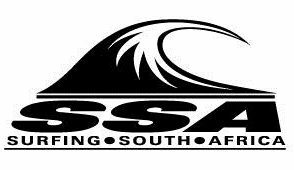 Luke Slijpen (Hout Bay) clinched the Bronze medal in the U18 boys division and the South African team finished eighth overall out of the 44 nations and 361 athletes who participated in the 2018 VISSLA ISA World Junior Surfing Championship which ended at Huntington Beach in California on Sunday. Slijpen was one of only two surfers in the U18 boys division who successfully finished either first or second in the all six Main Event stream heats, and he won the Round 6 heat to qualifying directly for the Grand Final in the division along with heat runner-up and eventual silver medalist Joh Azuchi (Japan). The 25 minute final saw subsequent gold medalist Keanu Kamiyama (Japan) get off to great start with a score of 7.33 (out of 10) and he secured the coveted crown with a 6.33 later in the heat. Try as did, Slijpen could not find the waves that saw him post a heat total of 15.37 (out of 20) to win his Round 6 encounter earlier in the day and the Capetonian was eventually overtaken by Azuchi and had to settle for third spot ahead of Cole Houshmand (USA). Slijpen’s haul of 730 points towards the team total saw South Africa finish the annual event ranked No 8 among the record setting 44 nations that attended, an improvement of three places over their result in the corresponding event in Japan in 2017. That result see the country qualify for a place in the SA Aloha Cup event at next year’s ISA World Junior Champs as the unique form of team relay surfing is contested by the top eight nations from the previous event. Japan completed an historic double when their team won the team gold medal at the ISA World Junior Champs for the first time, adding the achievement to their victory at the ISA World Surfing Games in their home surf in September. The hosts USA took the team silver medal with Australia earning bronze and Hawaii the copper medal for fourth place overall. Japan’s rapid rise in surfing’s hierarchy ahead of the sport’s debut appearance in the 2020 Tokyo Olympics has been significantly assisted by Durbanite Wade Sharp who took over as the coach for the country’s surf teams after leading Costa Rica to the team gold medal at the ISA World Surfing Games in Nicaragua in 2015. Germany won its first ISA medal across any division when Rachel Presti took gold in the U18 girls division. The U16 boys gold went to Grayson Hinrichs of Australia and 13-year-old American prodigy Caitlin Simmers announced her presence on the world stage by posting the highest single ride score of the final day – 9.17 – and earned gold in the U16 girls. “The words that I have right now are thank you,” said ISA President Fernando Aguerre in his closing address at the awards ceremony. “Thank you to our Title Sponsor VISSALA for believing in the power of Junior Surfing and thank you to Visit Huntington Beach for opening their arms for these over 1,000 visitors from around the world.